Whether you want to start work in the professional beauty sector or you wish to add new treatments to the services you already offer, we offer a range of Guild Training International courses. GTi courses combine flexible online learning combined with intensive practical training at our easily accessible Plymouth City Centre Training School. This course shows you how to perform a complete female intimate waxing treatment. The anatomy & physiology of the female organs are covered, as well as the various styles of waxing and techniques which can be used on clients depending on their wants and needs. Reception, consultation and aftercare guidance is covered as well as contra-indications to treatment. The Guild has given a guideline of 9 hours of study time for the 9 theory modules, but this will vary depending on the speed you learn. These are to be completed online in your own time, however you must have passed your theory tests before the practical assessment day at GHQ Training on Thursday 24th January. *You will need to supply a model from 12pm on the practical training day. 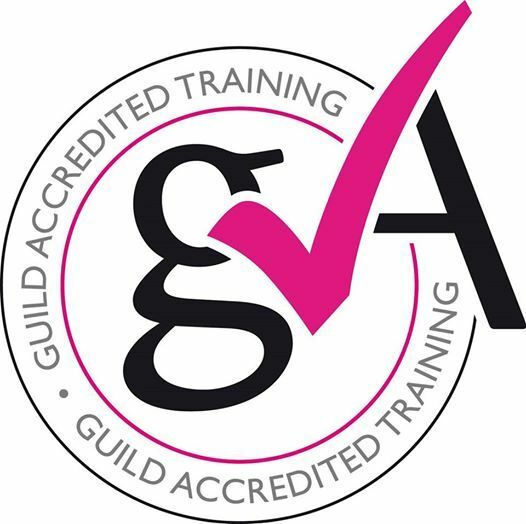 *You will also need to hold a relevant Waxing qualification and have experience, and you will also be required to complete the GTi Professional Standards course.